Find the best Pumpkin Patches of 2014. Eggy Storytime, 11am, ages 3+, enjoy egg experiments and stories, Corte Madera Library. Spaceships & Wings: A story time about flying things, 3-3:30pm, all ages, come to this special story time all about things that fly! Sausalito Library. Professor Smart’s Fun with Physics Show, 4pm, Kick off SCIENCE MONTH with this wild and crazy show! You just might learn something, Corte Madera Library. Tween Movie: Coraline, 4pm, Sausalito Library. Reduce Test Stress: A Free Program for Parents and Students, 7-8pm, Presented by Dr. Ben Bernstein, Clinical Psychologist & Performance Coach, and author of Test Success! How To Be Calm, Confident, and Focused on Any Test, Novato Library. Film of the Month, 1:30pm & 4pm, films vary, every day except Wednesday, Walt Disney Museum. Uncle Eye and Julia, 4pm, ages 5+, listen to tales and sing along with Uncle Eye (Ira Levin), and Julia’s songs and singing stories – the Palace of Wonders. Join the fun, hear about Ruby the Rescue Cow and sing your heart out! Belvedere-Tiburon Library. Young Writer and Artists Club, 4-5pm, ages 8-11, Are you an aspiring writer or artist? Come to the Young Writer and Artists Club! We’ll write stories and poems, and draw, paint and collage. You don’t need to come every week, join us when you can, Sausalito Library. Kids’ Pajama Party with Kathryn Otoshi, 6pm, cozy in front of the fireplace, listen to a story or two, have some milk and cookies and get your books signed before heading home for bed, diesel, A Bookstore. Afoutayi 5th Annual Haitian Festival, 6-9pm, free, live music, dance and more! YIA Gallery, 917 C Street, San Rafael. Hardly Strictly Bluegrass, Speedway Meadow in Golden Gate Park. Sonoma County Harvest Fair, 4-9pm. Toddler Days, 9am-12pm, enjoy milking a goat, holding a warm egg from the chickens, and hearing the baa of the sheep, activities are toddler appropriate, but all ages welcome on this very friendly day, Slide Ranch. Home Depot to the Fire Rescue, 9am-12pm, ages 5-12, build a fire rescue plane, Home Depot. Tiburon Challenger: USTA Kids Day, free, enjoy fun games, activities and soft serve ice-cream cones, Tiburon Peninsula Club, contact Michelle at 279-1973, skipwith@norcal.usta.com. Junior Chef Class, 10am, ages 9–13, Mac & Cheese – You Way!, Williams-Sonoma, The Village at Corte Madera. Nature for Kids: Deer Island, 10am-1pm, follow the 2.3 mile loop trail around this “island” as we walk through oak forests and open meadows. This beautiful little ridge that rises above the surrounding marshland is a great place to enjoy an autumn day with the family. Don’t forget to bring your lunch! Meet at the gate on Deer Island Ln in Novato. Hand Painted Halloween Rocks, 10am-12pm, $2 per child for 30 minutes, ages 3+, Michaels, San Rafael. MILL VALLEY FILM FESTIVAL: The 3D Sideshow, 11am, short films, special music videos, & animations including an old Mickey Mouse short Get a Horse with 3D characters jumping in and out of the film, a rare clip from Harold Lloyd’s Safety Last, the Disney short Feast, and Georges Méliès Infernal Cauldron, the first film in 3D, Rafael Theatre, San Rafael. Science for Small Hands, 11am-12pm, hands-on exploration of science, technology, math and engineering. For young learners, ages 3-6, with caregivers, Novato Library. Hawk Talk & Banding Demo, 12-2pm, about hawk migration and identification, Marin Headlands. MILL VALLEY FILM FESTIVAL: Minuscule: Valley of the Lost Ants (Minuscule: La Vallée des Fourmis Perdues), 12pm, A real forest landscape is the backdrop for a 3D animated story about the tiny, scuttering creatures that live there, including our petite protagonist: a recently hatched ladybug who is minus one wing and one family after an encounter with a gang of flies, Sequoia Theatre, Mill Valley. Marinwood Oktoberfest! 12-5pm, music, food and more, San Rafael. Point Bonita Lighthouse Tour, 12:30-3:30pm, historic setting offers breathtaking views and many stories of what life was like living at the head of such perilous waters. Nike Missile Site Open House, 12:30-3pm, volunteers and Nike Veterans available to interpret each of the areas on the base. Molly Idle – Flora and the Penguin, 1pm, innovative, wordless picture book with clever flaps that reveal Flora and the penguin coming together, spiraling apart, and coming back together as only true friends do, Book Passage, Corte Madera. Professor Smart’s Fun with Physics Show, 1-2pm, Science will come to life with an interactive performance combining theatrical storytelling and very cool demonstrations, Marin City Library. Historic Fort Baker Tour, 1-2pm, learn about the Colonial Revival buildings and how this 1905 army post represented a new and improved standard of living for the officers and soldiers stationed here with architectural historian Kristin Baron, Cavallo Point reception building, Sausalito. MILL VALLEY FILM FESTIVAL: The Box Trolls, 1:15pm, Laika (Caroline and ParaNorman) is one of the animation world’s great new wonders, using pioneering creative technologies and approaches to storytelling. Where do they fit into the storied history of the medium and who is driving their creative visions? A chat with some key leaders of the Laika will provide a window in their wonderful world, and meet Directors: Graham Annable and Anthony Stacchi and Producer: Travis Knight, Rafael Theatre, San Rafael. LEGO-Engineering, grades 2-5, Build a GEAR CAR and have an ISLAND VEHICLE ADVENTURE with Nancy from Play-Well TEKnologies! Class size limited: pre-registration required. Fairfax Library. Ian Lendler – The Stratford Zoo Midnight Revue Presents Macbeth, 2:30pm, The Stratford Zoo looks like a normal zoo… until the gates shut at night. That’s when the animals come out of their cages to stage elaborate performances of Shakespeare’s greatest works. Book Passage, Corte Madera. A Treasury of Glorious Goddesses Series, 4pm, Meet authors Shirin Yim Bridges, Janie Havemeyer and Gretchen Maurer as they discuss their lively middle grade novels that bring world mythologies to life! Book Passage, Corte Madera. Owl Wars, 6:30-9:30pm, 5 mile strenuous hike at dusk, look and listen for the owls that call Muir Woods home, reservations required; call (415) 388-2596, Muir Woods. North Bay Mobile Drive-In, Lord of the Rings, 8:30pm, fun, authentic, drive-in experience, movie is projected on the side of the Old Hamilton Theater building (closed for many years now) and transmit the audio over the FM band (88.3FM) just like modern drive-ins. By donation, small concession snack bar available at each performance, Old Hamilton Theater Building, 520 Palm Drive, Novato. Healthy Parks, Healthy People, 2-4pm, hiking, beginner exercises and family games, you’ll get to know your various National Park sites while getting those hearts and waistlines happy, Presidio, San Francisco. October Fireworks Series, 6pm, fireworks at 8:30pm, music and more, Pier 39, San Francisco. Arab Cultural Festival, 12-6pm, San Francisco’s Union Square transforms into an Arab bazaar offering food, games and entertainment to the whole family. Fandango, 10-4, welcome autumn’s arrival as they did in 1840′s by experiencing the dance and music of a “Fandango”, Petaluma Adobe State Historic Park, 3325 Adobe Road. Lift Off Festival, 10am-5pm, see firing rockets, flying discs, soaring falcons, floating bubbles, and all sorts of things ascend into the air, CuriOdyssey, San Mateo. Sonoma County Harvest Fair, 10:30am-5pm. TarantulaFest & Barbecue, 10am-6pm, food, games, contests, entertainment, and enlightenment including a leisurely nature walk with a volunteer naturalist and search for tarantulas on the move, Henry Coe State Park. Novato Fire District Open House, 10am-1pm. Boogie with Emily Bonn, 11-11:45am, ages 2-5, Emily will bring her favorite old-timey, folk and classic children’s songs to create a playful learning environment for children. This 4-week course nurtures creativity, self-expression, and confidence while developing singing and rhythm musicality, body awareness and social skills. Registration Required, Mill Valley Library. MILL VALLEY FILM FESTIVAL: The Boy and the World (O Menino e o Mundo), 11am, Handdrawn animation and music from luminaries in Brazil’s contemporary music scene enhance this wordless tale of a boy’s travels to find his father, who no longer can earn a living from the land, Sequoia Theatre, Mill Valley. MILL VALLEY FILM FESTIVAL: 5@5 This Birds Gonna Fly, 11am, animated shorts from around the world is sure to delight children of all ages, Rafael Theatre, San Rafael. The Last Gun, 11am-3pm, How can a 50-ton gun simply disappear? Learn this and more while helping load and aim the last operational gun of its kind. Photos of the century-old Endicott system batteries in action are on display in an underground cartridge room, Presidio at Battery Chamberlin, north end of the Baker Beach parking lot. Story Time & Family Walk, 10:30am, ages 4-8, Cloud Forests and Conservation, San Francisco Botanical Garden. FAMILY PROGRAM: Foods of the Americas Family Day, 10am-3pm, Crafts, Food, Talks, Docent Tours, Corn Husk Dolls and Food tastings and Demos, UC Botanical Garden at Berkeley. MILL VALLEY FILM FESTIVAL: Star Wars: Episode V – The Empire Strikes Back, 5pm, Century Cinema Corte Madera. Museum Monday for Little Ones, 10am-Noon, Schultz Museum. Build a Body Storytime & Workshop, 3:30-4pm, ages 5+, Corte Madera Library. Sunset/Full Moon Walk to the Point Bonita Lighthouse, 6-7:30pm, tour down the Point Bonita Trail, through the hand carved tunnel and out to the Lighthouse, Reservations required; call (415) 331-1540. Marin Private School Fair, 6:30-8:30pm, sponsored by Southern Marin Mothers’ Club, Greenwood School, Mill Valley. Muir Woods After Hours, 8-10pm, ages 8+, This is an easy, 2-mile walk on paved trails. Bring your flashlight and discover Muir Woods when the sun goes down. Reservations required, 388-2596. Amazing Animals Storytime, 11am, ages 3+, learn about penguins, otters, sharks, and more, Corte Madera Library. LEGO Club, 3-4:30pm, ages 4+, We’ve got a huge LEGO collection. Come play, build and geek out with us! No children under 3 will be allowed, although we will have Duplos in the Children’s Room for them to play with, Sausalito Library. Free Bike Repair Day for kids and families, 1-4pm, Bay Area Bike Mobile presents a free day of bike repair for kids and families. Bring your bike to the San Anselmo Library lawn. We can fix most everything! Arrive Early. Space is Limited. Creatures of the Night Flashlight Program, 5-7pm, discover what nocturnal animals are and how their adaptations help them survive. By playing with flashlights and using a form of Morse code, learn about the effects of light pollution on nocturnal animals, Muir Woods. Disney on Ice, enter the Promo Code MOM for a special discount, Oracle Arena, Oakland. Fleet Week, Enjoy the celebration honoring the men and women of our nation’s armed forces, watch the Parade of Ships, feel the roar of the Blue Angels. Bird Walk, 10:15am, Birders or aspiring birders of all levels are welcome. No worries if you don’t have your own binoculars, we can loan you a pair during our walk, Richardson Bay Audubon Center & Sanctuary, Tiburon. Joanne Rocklin – Fleabrain Love Franny, 6:30pm, Franny starts up a correspondence with an eloquent flea named Fleabrain, who lives on her dog’s tail. Book Passage, Corte Madera. MILL VALLEY FILM FESTIVAL: Hoppity Goes to Town AKA Mr. Bug Goes to Town, 7:45pm, free outdoor screening of a croony, swoony animation classic that’ll delight the young—and the young at heart! Old Mill Park, Mill Valley. Redwood Creek Before the Storms, 9:30am-12:30pm, Visit the creek at its driest and learn how coho bide their time before the onslaught of winter storms, meet at the Muir Woods Visitor Center. Family Fun Day, 10am-1pm, pumpkin patch, games, face painting, crafts, bake sale, raffle and more, St. Vincent’s Pumpkin Patch, St. Vincent’s exit off Hwy 101, San Rafael. All proceeds donated to the boys at Timothy Murphy School at St. Vincent’s. Litquake, 10am- 9pm, sci-fi to be heard at Gamescape, new works by local teens under the spreading tree on the library lawn, edgy “wild side” lit at Triumph Skateboards, and Muriel Johnson and Phil Sheridan will be telling stories from 11:15a – 12:15p at the Friends of the Library Bookstore, 1016 C Street, the entire 4th Street corridor in San Rafael. Bay Area Pet Fair, Free admission (& parking), lots of free entertainment, giveaways, kid and dog activities PLUS more than 1,000 pets for adoption! Marin Civic Center. Harvest Celebration, live music, local organic cuisine, nature craft activities, food and gardening workshops, meet our farm animals, and more, Slide Ranch. Stars Wars Reads Day, 9am, fun-filled day of giveaways and activities in stores nationwide for Star Wars fans of all ages, Barnes & Noble, Corte Madera. Mountain School Apple Faire, 10am-2pm, ages 3-7, games, crafts, puppet show and more, 50 El Camino Dr., Corte Madera. Junior Chef Class, 10am, ages 9–13, Waffle Mania, Williams-Sonoma, The Village at Corte Madera. Bon Air Car Show, 10am-4pm, Over 100 of the finest vintage cars in the area come to Bon Air Center, Kentfield. Concert for Kids, 10:30am, Christopher Smith, Robin Sweeny Park. Bring your family, a blanket and enjoy FREE concerts. MILL VALLEY FILM FESTIVAL: Minuscule: Valley of the Lost Ants (Minuscule: La Vallée des Fourmis Perdues), 11am, A real forest landscape is the backdrop for a 3D animated story about the tiny, scuttering creatures that live there, including our petite protagonist: a recently hatched ladybug who is minus one wing and one family after an encounter with a gang of flies, Rafael Theatre, San Rafael. MILL VALLEY FILM FESTIVAL: The LEGO Movie, 11am, Conversations with filmmakers from films that are part of awards season, these discussions are designed to illuminate the creative filmmaking process with directors Phil Lord and Christopher Miller, Rafael Theatre, San Rafael. Biketoberfest, 12-5pm, Family Fun Including Bike Decorating, Bike Carousel, Kids Bike Skills Zone and Face Painting! FairAnselm Plaza 765 Center Blvd. Fairfax. Oktoberfest, 12-5pm, music, food and kids activities, Old Corte Madera SquareCorte Madera. Fall Fest, 12-4pm, Music, Food, Cake Walk, Games, and AMAZING Raffle prizes. Join us and bring a friend to this thrilling community event for a great cause, San Geronimo Valley Community Center Arts & Events, 6350 Sir Francis Drake Blvd, San Geronimo. Picnic Hike at Tiburon Uplands, 11am – 2pm, hike of the Tiburon Uplands Preserve, enjoy a picnic lunch, and spectacular views of the San Francisco Bay. This hike is moderate-to-strenuous, Paradise Beach Park, Tiburon. MILL VALLEY FILM FESTIVAL: Youth Reel, 3pm, stellar youth-produced shorts from all over the world, Lark Theatre, Larkspur. LEAP Sand Castle Contest, 10am-4pm, Ocean Beach, San Francisco. Family Matinees, ages 5-12, provide a window into the exciting world of live jazz and feature amazing artists from around the globe! This month is Zakir Hussain, SF Jazz Center, Miner Auditorium, San Francisco. Crissy Field Aviation Walk, 10am-12pm, Explore Crissy Field and learn about its role in early aviation history on this easy, one-mile walk. Science Saturday: Butterflies 101 – Butterflies of Mountain Lake and Beyond!2-3pm, overview of these beautiful invertebrates, and discuss the rich history of Lepidoptera in San Francisco. In the Footsteps of Anza, 2-4pm, walk through the Juan Bautista de Anza Trail and hear some of the stories of this trailblazing and inspirational expedition through treacherous and uncertain territory, 2.5 miles through sections of moderately strenuous terrain uphill; we’ll see and hear how this historic landscape has changed over 200 years, Presidio. Pier Crabbing, 10am-12pm, We’ll discuss bait, equipment, and regulations, then try your luck with our nets. Fills quickly so call early. Reservations required; call 556-1693. Family Friendly Restoration, 9-10:30am, help plant native plants, removing unwanted weeds and various other activities to help preserve native habitat. Snacks are provided and we will be finishing off the day with a story circle! RSVP requested to (415) 561-4280 or nature@presidiotrust.gov, Mountain Lake Outdoor Classroom, San Francisco. Indigenous Peoples Day, 10am-6pm, free, traditional dancing, music, crafts, food and more, Martin Luther King, Jr. Civic Center Park, Berkeley. Marin Waldorf School’s Annual Children’s Faire, 10am-4pm, games, puppet shows, story telling, crafts, local vendors, a visit from the Sleeping Giant, and activities such as the Knight’s Quest, Hero’s Maze, 755 Idylberry Road, San Rafael. Sunday Special: Dholrhythms Dance Company, 11am, highlights the ancestral and ethnic roots of the Punjabi dance form while pushing boundaries with contemporary influences, Mill Valley Library. MILL VALLEY FILM FESTIVAL: 5@5 This Birds Gonna Fly, 11am, animated shorts from around the world is sure to delight children of all ages, Throckmorton Theatre, Mill Valley. MILL VALLEY FILM FESTIVAL: The Boy and the World (O Menino e o Mundo), 11:15am, Handdrawn animation and music from luminaries in Brazil’s contemporary music scene enhance this wordless tale of a boy’s travels to find his father, who no longer can earn a living from the land, Rafael Theatre, San Rafael. Grand Opening at Dairy Knoll, music food, entertainment, and more! Dairy Knoll Rec Center, 600 Ned’s Way, Belvedere-Tiburon. MILL VALLEY FILM FESTIVAL: The 3D Sideshow, 11am, , 11am, short films, special music videos, & animations including an old Mickey Mouse short Get a Horse with 3D characters jumping in and out of the film, a rare clip from Harold Lloyd’s Safety Last, the Disney short Feast, and Georges Méliès Infernal Cauldron, the first film in 3D, Sequoia Theatre, Mill Valley. Duck Derby, Point Reyes Station. Marine Science Sunday, 10am-5pm, takes a look at Creatures of the Deep, Join us for classroom presentations, Docent-led tours, and more! Marine Mammal Center, Sausalito. International Archaeology Day, 1:30-3:30pm, Paleo Technology Demonstrations and Activities, Native Food Processing, Crafting Shell Beads, Flint Knappin,g Projectile Points and more, Museum of the American Indian, Miwok Park, 2200 Novato Blvd, Novato. MILL VALLEY FILM FESTIVAL: Children’s Party at Microsoft, 3-5pm, fun for the whole family including live entertainment, Oliver Twist, The Family Bug Band, Glitter Tattoos, short films and more! Microsoft at The Village at Corte Madera. Drop-In Art Making, 1-3pm, Sound Sculptures, Contemporary Jewish Museum. Artist Showcase, 2 shows: 11am Creativity Museum, San Francisco & 4:30pm Freight and Salvage, Berkeley, featuring Benj Pasek and Justin Paul, Tony Award-Nominated composers of our upcoming main stage show James and the Giant Peach. Do you have young performers in your family who love theatre? Then you won’t want them to miss this unique opportunity to meet these two brilliant Broadway songwriters! Colored Pencils For Field Sketching, 10-11:30am, with John Muir Laws, a free hour and a half workshop, Learn how to get the most of a small set of colored pencils and create a fast, portable, intuitive, and inexpensive sketching system, Richardson Bay Audubon Center & Sanctuary, Tiburon. Test-tube Terrariums Storytime & Workshop, 3:30-4pm, ages 5+, Corte Madera Library. S.S. Taylor – The Expeditioners: The Secret of King Triton’s Lair, 7pm, Kit, Zander, and M. K. West are settling into their new lives as students at the Academy for the Exploratory Sciences when Kit finds another mysterious map left for him by their father, the brilliant, famous — and presumed dead — explorer Alexander West, Book Passage, Corte Madera. Science Experiments Storytime, 11am, ages 3+, Corte Madera Library. Collage Workshop with Bethanie Murguia, 3pm, ages 4+, Come to our collage laboratory: experiment with line, color, and shape to create beautiful, one-of-a-kind collages. Local author and illustrator Bethanie Murguia will demonstrate a variety of collage techniques and approaches. Bring your imagination, we’ll provide the supplies., Sausalito Library. Haunted Tales for Halloween: a Shadow Puppet Show, 6:30pm, ages 4+, an entrancing and only slightly spooky shadow puppet show, Space is limited and reservations are requested. Please RSVP to library@cityoflarkspur.org or 927-5005. Sean’s Shadow Puppets, 3:30pm, Shadow puppets and live music from master puppeteer Sean Powers, Sausalito Library. Halloween Harvest Festival! 5-7pm, ages 2-12, Carnival Games, Pumpkin Carving and Decorating, Face Painting, Trick or Treat Bag Decorating, Carmel Apples, Bounce House, Marinwood Community Center, San Rafael. Movie Night – How to Train Your Dragon 2, 5:30 – 8:30pm, free popcorn and more! Feel free to picnic and BBQ too. Movie begins 15 minutes after sunset, Stafford Lake Park, 3549 Novato Blvd., Novato. I Am Eleven, TBD, Do you remember when you were 11? Australian filmmaker Genevieve Bailey traveled the world for six years talking with 11-year-olds to compose this insightful, funny and moving portrait of childhood, Lark Theatre, Larkspur. Trails Less Traveled, 9:30am-1pm, enjoy a walk through cascades, ferns, and fragrant tanoaks of this quiet side canyon of Muir Woods. Goblin Jamboree Sponsor Breakfast, 8am, Bay Area Discovery Museum. Goblin Jamboree, 10am-4pm, come in costume and explore the haunted wonderland complete with games, attractions and live entertainment. Enroll in the witches’ school, take a train or pony ride, visit the petting zoo and enjoy a full brew of games, activities and live entertainment, Bay Area Discovery Museum. Junior Chef Class, 10am, ages 5–13, Pumpkin treats, Williams-Sonoma, The Village at Corte Madera. Twin Cities Co-op Halloween Carnival, 10am-2pm, featuring face painting, carnival games, a cake walk, raffle, jumpy house, bake sale, used costume sale and much, much more, 56 Mohawk Avenue in Corte Madera. Venetia Valley School Fall Carnival and Supply Drive, 11am-4pm, games and kids’ activities including jumpies; live, local entertainment; face painting, henna tattoos and a cake walk and more, 177 N. San Pedro Rd., San Rafael. Creole United Festival, FREE but suggested donation is $5, funds raised go to the Performing Stars “Zydeco For Kids” project and music education, enjoy Zydeco on the bay with authentic Louisiana cuisine, activities for all ages, arts & crafts for kids, dance lessons, exhibits, Sausalito. Sharktoberfest! 11am-4pm, free, shark related activities, food, music and more, “Build a White Shark” and “Shark Printmaking” $5/person, registration required for these two special programs, Contact Sara Heintzelman to RSVP for the event and to reserve a spot for special programs: sara.heintzelman@noaa.gov or 561-6622 x237, Gulf of the Farallones Visitor Center, 991 Marine Drive, The Presidio, San Francisco. Watercolors for kids workshop with local artist Diana Bradley for Kids, 1-3pm, ages 4-10, registration required, Bring a toy or some photos that you’d like to paint pictures of. We’ll supply all you need and give great tips to start you on your way to working with watercolors, Belvedere Tiburon Library. Hands-On Learning: Scoubidou Woven Whatzit! Decorating Project, 2pm, ages 7+, Decorate your backpack, locker or notebook with the Scoubidou, Barnes & Noble, Corte Madera. Rush Creek Bike Ride, 5-6:30pm, enjoy a moderate 9-mile mountain bike ride at the Rush Creek Open Space Preserve. This route has very little elevation change and offers sweeping views of the marshlands at Rush Creek. Dress in layers, bring water, and don’t forget your bike! Meet at the Pinheiro Fire Rd gate on Binford Rd in Novato. Oceans Aglow: Family Night Hike & Campfire, 6–8:30pm, join us for a night hike to Rodeo Beach in search of bioluminescent plankton twinkling in the sand, NatureBridge, Sausalito. International Archeology Day, 10am-3pm, stop by Pershing Square to see archeologists in action, make your own adobe brick wall, behind the scenes tour of the lab, and more, Pershing Square at the corner of Arguello and Moraga, Presidio, San Francisco. Market Days, 11am-3pm, free, open-air mini-festivals that bring together museum and community scientists, artists, and educators, art and science demos, hands-on activities, exhibits, and craft displays, Exploratorium. San Francisco Children’s Outdoor Bill of Rights, 12-3pm, birding, habitat restoration, quests, games and more, RSVP requested to (415) 561-4280 or nature@presidiotrust.gov, Mountain Lake, San Francisco. Trolly Dances, 11am-2:45pm, free with regular MUNI fare, tours leave every 45 minutes starting at 11:00 a.m. and ending at 2:45 p.m. from the Market St. Railway Museum, south of Embarcadero Plaza. Goblin Jamboree, 10am-4pm, Bay Area Discovery Museum. Talk to a Planetary Geologist, 12-2pm, Dr. Georgiana Y. Kramer from The Lunar and Planetary Institute in Houston, and find out the latest news about our Moon. We hope to see a lot of budding young scientists. Bring your curiosity and questions. The event and entrance to the museum is free! The Space Station Museum, Novato. Ivy + Bean Day, 2pm, ages 6-10, join us for an afternoon of games and fun! Bring a friend or come and make new ones while you play musical statues on the lawn and have a 3-legged race around the green before marching back to the store in a parade, led by a trumpet player, to greet Ivy + Bean author, Annie Barrows at 2:30 pm. There will be a photo booth for you and your friends to take silly pictures in, crafts to make and giveaway surprises! deisel, A Bookstore, Larkspur. Sunday Streets, Mission, San Francisco. Master Magician Jay Alexander, 11am, his illusions and sleight of hand are remarkable and amazing, Randall Museum, San Francisco. AXIS Dance Workshop for Kids, Hop, dance, wiggle, and move to the beat in this series of drop-in creative dance workshops for children of all abilities, Contemporary Jewish Museum. East Bay Mini Makers Faire, 10am-5pm, hack, make and remake things into new, personalized stuff. This is truly a Do-It-Together experience. Katherine Applegate – Ivan: The Remarkable True Story of the Shopping Mall Gorilla, 10am, presents the extraordinary true story of a special gorilla who was captured as a baby in the Congo and brought to a mall in America to attract shoppers, Book Passage, Corte Madera. Storytime: Horton and the KwuggerBug by Dr. Seuss, 11am, Barnes & Noble, Corte Madera. Explore the 5 Senses Storytime & Workshop, 3:30-4pm, ages 5+, Corte Madera Library. Pajama Rama! 6:30-7:30pm, A family program of bedtime stories & songs. Come in your pajamas and slippers! Bring your favorite stuffy! Fairfax lIbrary. Family Movie Afternoon, 3pm, Pirate Fairy, Sausalito Library. Kiddo! Art Show Reception, 4:30-6:30pm, SweetE Organic, Strawberry Village, Mill Valley. Hughes Family Halloween House, 6-9pm, "A Grave Occasion: A Nightmare on Cherry Street 3" is the theme of this decorated home, donations, 663 Cherry St., Novato. Nicholson Family Halloween House, Dusk to 10:30pm, free, "The Novato Cemetery" Graveyard scene display with lights, sounds (also broadcast on 87.9 FM), flying ghosts and animatronic zombies and skeletons, 500 Sunset Drive, Novato. Hands-on Science at the Farmer’s Market, 3-7pm, North Berkeley Market, Shattuck @ Rose St, Berkeley. Jandy Nelson – I’ll Give You the Sun, 6:30pm, Book Passage, Corte Madera. Tam Valley Haunted House, Mill Valley. Halloween Music & Magic Show, 4pm & 6pm, Mill Valley Community Center. Pelican Dreams, 4:15pm, 6:30pm, 8:30pm, enchanting new documentary that follows a wayward California brown pelican from her “arrest” on the Golden Gate Bridge to her rehabilitation at San Rafael’s own WildCare, Smith Rafael Film Center, San Rafael. Hughes Family Halloween House, 6-10pm, donations, 663 Cherry St., Novato. Nicholson Family Halloween House, Dusk to 10:30pm, free, 500 Sunset Drive, Novato. The Witches, 6:30pm, This is a faithful adaptation of Roald Dahl’s classic story in which Boy and his Grandmother defeat the Grand High Witch and her followers, who are holding a Conference in an English seaside hotel, Young Performers Theatre. Super Natural Halloween Party, 6:30-9pm, This ghoulishly family fun event will feature trick-or-treating, pumpkin carving, face painting and live science demonstrations, with more surprises added daily! California Academy of Science. Explorer Days – Behind the Scenes of the Berkeley Natural History Museum, 4-5:30pm, Get a behind the scenes look in the collections which are normally closed to the public, including the Essig Museum of Entomology, the UC Berkeley Museum of Paleontology, Jepson Herbarium, and the Museum of Vertebrate Zoology. Please arrive early to secure your spot as the tour will be limited to 20 people. Costume Swap, 9am-1pm, Marin County Mart, Larkspur. Family Exploreres Bay Sail, 9:30am-12pm, Set sail for family adventureon the schooner Seaward. Navigate the bay, hoist sails, and learn a bit about bay ecology during this 2.5 hour experience filled with breathtaking views and one-of-a-kind memories, NaturesBridge, Sausalito. Junior Chef Class, 10am, ages 5–13, Halloween Cookie Decorating, Williams-Sonoma, The Village at Corte Madera. Kayak Paddle and Cookout, 10am – 1pm, after the paddle, stay for BBQ hot dogs and refreshments, free of charge, Tiburon. Getting to Know WildCare, 10am-12:30pm, Enjoy a short hike in nearby Gerstle Park, where we may spot red-shouldered hawks and dusky-footed woodrat nests, WildCare, San Rafael. Scream On The Green Faire, 10am-5pm, Trick or Treating 11a-1p, “Little Chamber of Horrors” Haunted House, Pumpkin Carving & Costume Contest, Music, Food and more, Sherman Avenue and the Civic Green & City Hall complex, Novato. Marin Wildlife Discovery Day, 10am-2pm, over 150 species of birds that live and breed in Marin, our creeks support some of the best coho salmon populations in northern California, and our hills are home to California’s top predator, the mountain Lion, ‘Children’s Island’ in the lagoon at the Marin Civic Center. Halloween Storytime: Click, Clack, Boo! 11am, join us in costume for this Halloween Storytime with fun-filled giveaways and activities, Barnes & Noble, Corte Madera. Halloween Bash – A Community Arcade, 12-4pm, A mashup of Halloween and makers, celebrating community-made arcade games, with free trick-or-treating and a food drive, Bon Air Center, Greenbrae. Trick or Treat on Fourth Street, 1-2:30pm, Haunted House at Saint Raphael’s School, games, crafts, and trick or treating, Downtown City Plaza, 990 Fourth Street, San Rafael. Pumpkin Carving, 1-2pm, RSVP to Cindy or Carol, 388-6233, Goodman’s Hardware, Mill Valley. Pelican Dreams, 2pm, 4:15pm, 6:30pm, 8:30pm, enchanting new documentary that follows a wayward California brown pelican from her “arrest” on the Golden Gate Bridge to her rehabilitation at San Rafael’s own WildCare, Smith Rafael Film Center, San Rafael. Halloween Haunt, 4-8:30pm, Haunted House, Music, Food, Jump House, Face Painting, Scares, Laughs, Magic Show, and MORE!! Belvedere Community Center. Come see what spooky terrors lurk in this year’s inception of the annual Sausalito Haunted House. They’re dying . . . to meet you, Sausalito City Hall. Mount Tamalpias Astronomy Programs, 7:30pm, bring a chair and picnic, stargaze and learn about “The Top Tourist Sights of the Solar System” at the Mountain Theatre. Explorer Days – Back in Time at the Bay Model, 1:30-2:30pm, watch the Bay Model fill and get familiar with the forces of nature that created the SF Bay Estuary and surrounding areas, limited to 40 attendees. Hands-On Learning: ZOOB Building and Modeling Event, 2pm, ages 4-7, build something creative with the ZOOB moving, mind-building modeling system, Barnes & Noble, Corte Madera. Marin Wildlife Discovery Day, 10am – 2pm, Children’s Island, Lagoon Park, Intersection of Avenue of the Flags and, Civic Center Drive, San Rafael. Woodland Pet Food & Treats Halloween Pet Parade & Costume Contest, Mill Valley, Greenbrae and San Rafael locations. My favorite sweets shop, SweetE, will have several delicious, organic chocolate and fruity at the Mill Valley event! Trick-or-Treat at The Village! 1-3pm, The Village at Corte Madera. Trunk or Treat, 5-6:45pm, Mill Valley Community Center Parking Lot. Graveyard Stroll, 6 – 7:30pm, get a head start on Halloween! Experience our one-of-a kind program that uncovers one of Marin’s most interesting, but little known cemeteries. All treats (and tricks) are free, Marin County Parks Lucas Valley Field Office 18 Jeannette Prandi Way, San Rafael. Geology of the Golden Gate Headlands, 9am-2:30pm, Explore 200 million years of geologic history and learn the fascinating story told by the rocks at the Golden Gate, Reservations required 561-4323. Family Halloween Fest, 10am-2pm, Join us for a day of family-friendly, non-scary, inexpensive Halloween fun! Randall Museum. History Comes Alive with Juana Briones at El Polín Spring, 1-2:30pm, experience a day in the life of Juana Briones, a legendary woman of the Presidio. We will start by grinding corn, and then continue with a short walk while listening to stories of the Presidio’s past inhabitants, registration required, 561-4323. Create a Frankenbot, 11am-1pm, ages 8-12, Robots Dash and Dot are preparing their very first costumes and getting ready to trick-or-treat. Using LEGOs and art supplies, transform Dash and Dot into any monster or creature you want. Once finished, use Blockly coding software to bring your monster to life with sounds, lights and movements! Creativity Museum, San Francisco. Wharf Fest, 11am-6pm, enjoy music and live entertainment, food and wine, a chowder competition, children’s rides, ship tours, street performers, art, fireworks, and more, Fisherman’s Wharf, San Francisco. The Witches, 1pm & 3:30pm, This is a faithful adaptation of Roald Dahl’s classic story in which Boy and his Grandmother defeat the Grand High Witch and her followers, who are holding a Conference in an English seaside hotel, Young Performers Theatre. Hands-on Science at the Farmer’s Market, 10am-3pm, Downtown Berkeley Market, Center St @ MLK, Berkeley. Explorer Days – BioBlitzing at Muir Woods, 10am-12pm, identify and document as many different plant and animal species as we can, limited to 25 total participants. Scream On The Green Faire, 10am-4pm, “Little Chamber of Horrors” Haunted House, Pumpkin Carving & Costume Contest, Music, Food and more, Sherman Avenue and the Civic Green & City Hall complex. WOW! Halloween Faire, 10:30am-12pm, carnival games, bounce in the jump house, enjoy the candy & prize hunt and costume parade! Strawberry Park & Rec. Mill Valley. Papermill Creek Children's Corner Halloween, 11am-4pm, free, carnival with games, petting zoo, pony rides, local foods with chef-offs and more, Toby's Feed Barn, Point Reyes Station. Explorer Days – Marin Headlands Native Plant Science, 12-2pm, tour the native plant nursery and take a short hike, limited to 15 total participants. Explorer Days – SF State University’s Bayside Marine Laboratory, 2-4pm, ages 11+, focusing on phytoplankton, ocean acidification, harmful algal blooms, and carbon cycling will be open and scientists and students will be available to answer questions, Romberg Tiburon Center for Environmental Studies, Tiburon. Reading Together Book Group, 2pm, ages 8-10, The Fourteenth Goldfish by Jennifer L. Holm, diesel, A Bookstore, Larkspur. Jeepers Jack-O-Lanterns, 10am – 12pm, ages 7+, carve your own spooky Jack-O-Lantern for Halloween! A limited amount of pumpkins will be available (otherwise, you are more than welcome to bring your own), and festive, healthy snacks will be provided, Paradise Beach Park, 3450 Paradise Dr., Tiburon. Trick-or–Treat Celebration, 12-3pm, It's a spooktacular afternoon of fun!! Town Center, Corte Madera. Beginning Birding, 9:30-11:30am, age 8+, easy walk along Rodeo Lagoon to discover our summer birds. "Camp Creepy" Halloween, 3:30-6pm, $12, ages 2-12 with a haunted house, crafts, games and treats, Marin YMCA, 1500 Los Gamos Drive, San Rafael; 446-2148. Howl'oween Spooktacular Pet Parade and Costume Contest, 4-6pm, free, trick-or-treating and pet parade, Strawberry Village, Mill Valley. Hughes Family Halloween House, 12-8pm, donations, 663 Cherry St., Novato. Halloween Hoopla, 12-1:30pm, Music, crafts, & costume parade for kids! Unique Derique is the master of ceremonies and will lead numerous games for families to play, Yerba Buena Gardens. Meet the Banjo with Roger H. Siminoff, 11:30-12:30pm, upclose introduction to a classic bluegrass instrument—the banjo, Contemporary Jewish Museum. The Witches, 2:30pm, This is a faithful adaptation of Roald Dahl’s classic story in which Boy and his Grandmother defeat the Grand High Witch and her followers, who are holding a Conference in an English seaside hotel, Young Performers Theatre. Hands-on Science at the Farmer’s Market, 9am-1pm, Temescal Farmer’s Market, 5300 Claremont Ave., Oakland. Celebration of the Mind, 2-5pm, include a variety of talks and engaging performances and will feature interactive activities and a wide selection of mathematical games and puzzles. Children are welcome to attend and participate in these fun activities, Mathematical Sciences Research Institute, located at 17 Gauss Way, Berkeley. Explorer Days – Paleontology and Geology at New Brighton State Beach, 3-5pm, we will discuss the formation of marine sedimentary rocks, examine the Purisima Formation fossils at New Brighton Beach, discuss the processes responsible for preserving fossils, and learn about the ancient seafloor environment in which these fossils are preserved! You are guaranteed to see fossils of ancient clams, snails, and whales, limited to 40 total participants. Pelican Dreams, 6:30pm, 8:30pm, enchanting new documentary that follows a wayward California brown pelican from her “arrest” on the Golden Gate Bridge to her rehabilitation at San Rafael’s own WildCare, Smith Rafael Film Center, San Rafael. Hughes Family Halloween House, 6-9pm, donations, 663 Cherry St., Novato. Nature for Kids: Cascade Canyon, 10am – 1pm, This beautiful canyon is a great place to enjoy the changing of the seasons and the colors of fall. If it’s warm we might find some lizards still out and about; if it has rained we might find some early season salamanders! Don’t forget to bring your lunch! Meet at the gate at the end of Cascade Dr. Trick or Treat Bags Storytime & Craft, (for ages 5-8), 3:30-4pm, Corte Madera Library. Silly and Spooky Pajama Storytime, 6-6:30pm, join us for some Not-Too-Scary stories, songs, and dancing! Wear your jammies or try out your costume! Novato Library. Haunted House, Novato Youth Center. Hands-on Science at the Farmer’s Market, 2-6:30pm, Lorin (South Berkeley) Market, Adeline & 63 St, Berkeley. Make-a-Mask Crafter-noon, 3-4:30pm, ages 4+, Lion, princess, butterfly, ghost….what do you want to be? Come make masks with us! We’ll provide all the supplies, you provide the imagination, Sausalito Library. Goblin’s Spooktacular – Trick or treat on San Anselmo Ave between Woodland and Tamalpais, 5-7pm. Día de Los Muertos/Day of The Dead, 5-7pm, Come and Learn about Day of The Dead and Make art with Rachel-Anne Palacios /Venga y aprenda sobre el Día de Los Muertos y haga arte con Rachel-Anne Palacios, Novato Library. Magician Timothy James, 4pm, ages 5 & up, Marvel at the magical skills of magician Timothy James, Belvedere Tiburon Library. Silly and Spooky Pajama Storytime, 6-6:30pm, join us for some Not-Too-Scary stories, songs, and dancing! Wear your jammies or try out your costume! South Novato Library. Mary Poppins, A musical based on the stories of P.L. Travers and the Walt Disney Film, Berkeley Playhouse. 2640 College Ave. Berkeley. Phil’s Halloween Story Time, 3:34pm ages 4-7, Sausalito Library. Halloween Parade and Trick or Treat Lane, 5:45-8pm, Ghouls, Goblins, Princesses, Superheroes, Cats, Ghosts, and Monsters of all sizes, shapes and ages UNITE together at the corner of Caledonia and Johnson to haunt the street in search of free candy. We march at 6pm sharp so be ready to line up at 5:45pm. We will finish our Halloween Parade at Robin Sweeny Park, otherwise known as Trick or Treat Lane for more treats and Halloween fun, Sausalito. Woodland Pet Food & Treats Halloween Pet Parade & Costume Contest, Novato. 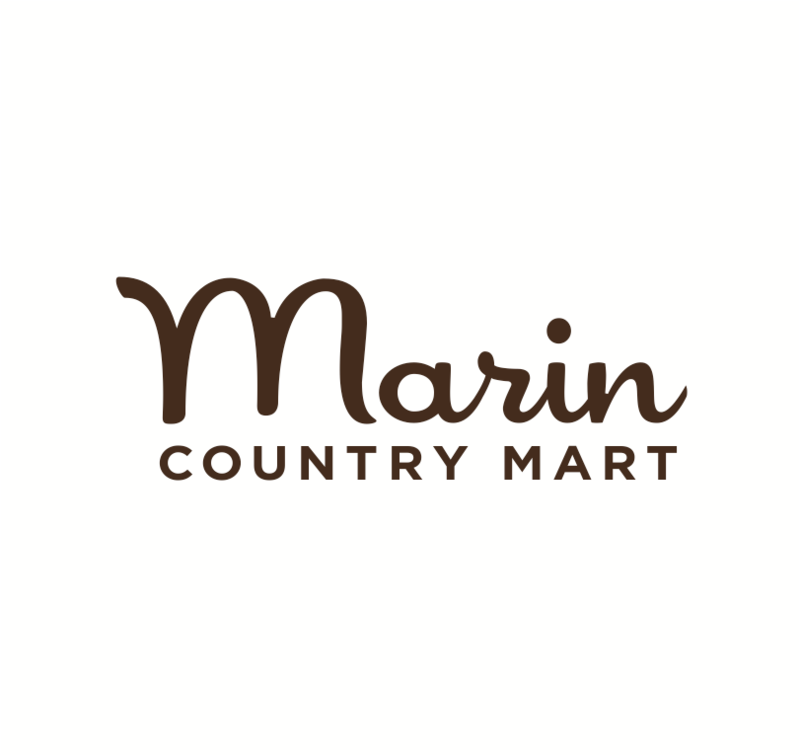 Kids Costume Parade & Trick-or-Treating, 4-7, pumpkin decorating at The Poppy Store, Parade 5:30pm, Marin County Mart, Larkspur. Halloween at WildCare, 4-6pm, meet Joey the Opossum 4pm, Pool Bird Feeding 4:30pm, Hunter the Gopher Snake 5pm, Sequoia the Spotted Owl 5:30pm, WildCare, San Rafael. Burton Butler's Great Stuffed Animal Giveaway, 12pm, free, Mill Valley resident Burton Butler offers kids a stuffed animal instead of Halloween candy, please be careful when driving, this is a residential area with lots of kids, 31 Lomita Drive, Mill Valley; 383-1402. Hughes Family Halloween House, 12-10pm, donations, 663 Cherry St., Novato. Good Witch and Wizard, dusk, The Good Witch and Wizard receive children's wishes for Earth in a magic glass caldron. free, 221 Railroad Ave. Woodacre. Halloween Trick-or-Treating Event, 5-7pm, Northgate Mall, San Rafael. Boos and Bones....Walking with the Dead, 4-8pm, explore our eerie trick or treating trail through our brand new skeletal exhibit while visiting monkeys, lemurs, and other small mammals. Don’t forget to stop at each of the stations designated on your ‘trick or treating map’ and listen to our naturalist and osteologist staff to pick up your Halloween candy, Safari West, Santa Rosa.